Melissa loves singing and has been for many years. After several years of vocal coaching and training she began to pursue Country Music as her preferred performing style but loves to sing good music from a variety of genres. She has recently taken up composing and is beginning to write her own songs for guitar and voice. Melissa is a multi-talented musician who also plays flute and guitar. A mother of 3, she brings a heart-felt lifetime of experience to her performing. Frank is the most experienced performer in the band having played professionally for several years, touring with various show bands, recording albums, performing on television and doing voice-over work. 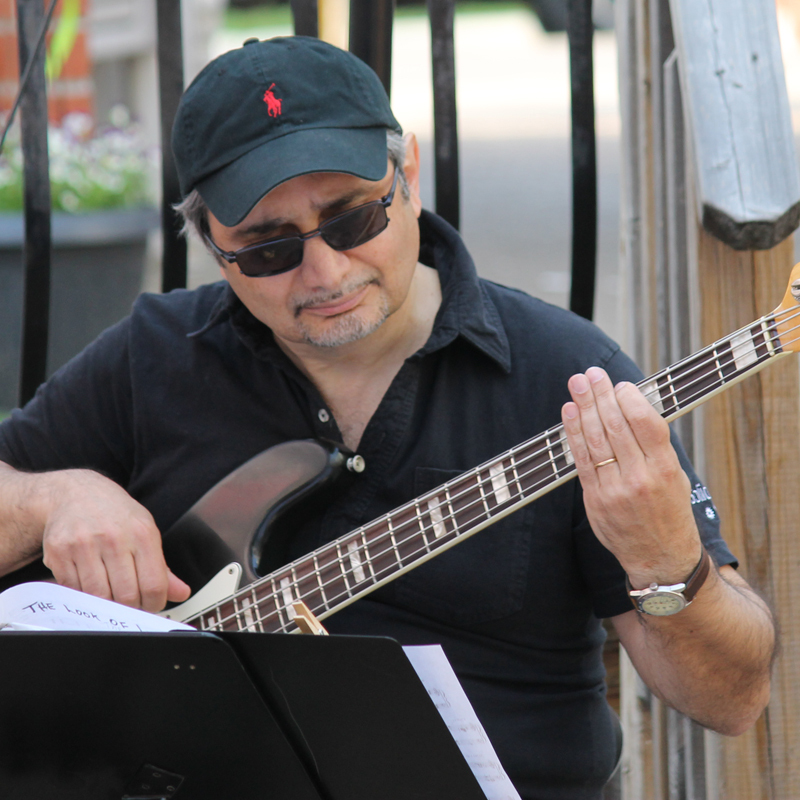 Beyond his professional experience, Frank has been playing bass upwards of 40 years. He is a versatile musician who can play a variety of styles and also has a flair for comedy. Frank loves to watch cooking shows and yet is a very plain and picky eater. Rick has been playing drums since childhood and is probably one of the busiest local drummers in Durham. He is the drummer for at least 4 bands at any given time and just loves to play as much as possible. Rick is clearly dedicated to his craft and owns 3 sets of drums and assorted other percussion instruments. His electronic kit is the one that he plays in Trac4! Rick's musical background is primarily rock and pop but he adapts quickly to other styles and continues to expand his collection of instruments and sound equipment. Tracy began taking piano lessons in his early childhood and quickly showed promise as a pianist that allowed him to earn a university degree in music education. Along the way, this classically trained musician also played the piano as an accompanist for a church youth choir. A former music teacher, he returned to active playing, first in a rock band and now is dedicating himself to the exploration of jazz, a long-time personal interest. Tracy enjoys experiencing a variety of artistic and cultural pursuits along with developing his jazz skills on the keyboard.